So, I ordered this little plane a while back, it cost about $27 fully assembled ready to fly out of the box with transmitter. There are a few different little 2Ch twin engine planes by this company, including a biplane and Cessna style variant. 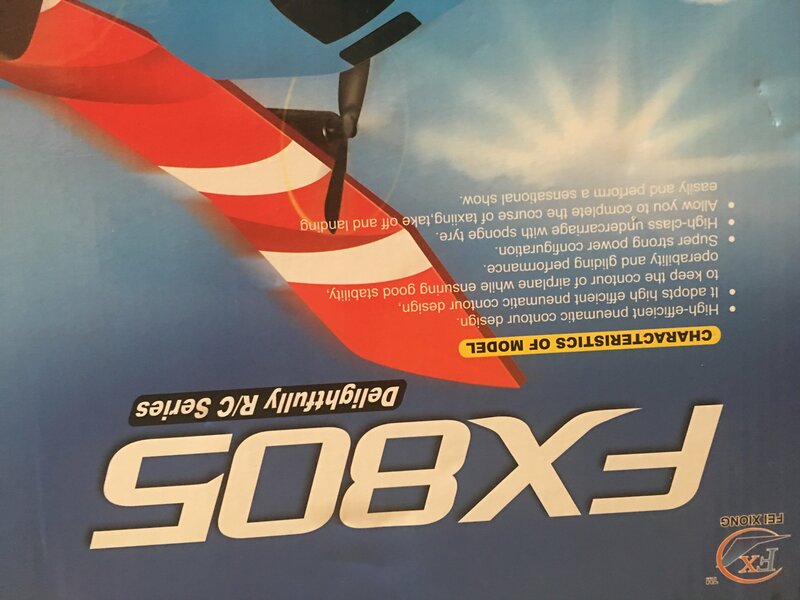 I chose the FX-805, an airliner style with a sleek fuselage reminiscent of a Bombardier Dash 8 and other such planes, but with large dihedrals on the wings. To me personally, this version looked both the most aesthetically pleasing and the most practical, though the other models look great too and I'm curious as to how they fly. This is the same model as the FX-802 in everything but color, the 802 being primarily white. There seems to be another(older?) version of the 805 that is also the same exact plane, but comes in a very bright magenta pink. First Impressions: Small box for an RTF plane, because the plane itself is super tiny. It has a fuselage length between ten and eleven inches long, and a wing span of just over 12 inches. This is significantly smaller than my champ or micro trojan, putting this more into the ultra micro category. That being said, this is still a plane intended for outdoor use. The foam is surprisingly good, hobby grade material; I don't know the specifics, but it is definitely not normal Styrofoam. It is very dense with larger cells looking almost like basic Styro on first glance, but much denser and more flexible. It is more scratch and dent resistant than regular Styrofoam and the foam my Hobby Zone Champ are made of. The motors are tiny, and encased neatly in little clear plastic cylindrical engine housings, with tiny props that look to be 1.5". The Box has a number of bullet points(selling points, claims, etc.) in broken English describing the plane's features and capabilities. I'll address each of those honestly in the next section. The instructions are in similar broken English, but good enough and straight forward enough to understand what you'll need to know. The plane has an internal battery and charges from a USB cable that connects to the TX, which takes six batteries for that reason. This configuration is not ideal, but acceptable, and I would have preferred a TX that uses less batteries and swappable Lipo batteries that charge straight from a USB charger, but you get what you pay for and this thing was dirt cheap. *"High-efficient pneumatic contour design"-fancy way of saying good aerodynamics. True enough, the fuselage is very sleek, and the wing is quite thick with a nice and detailed curvature/airfoil. The large dihedrals are indeed very efficient at self-stabilizing the plane, which helps a lot when your pitch control comes only from throttle and your turning comes only from differential thrust. This plane is indeed very aerodynamically efficient. *"Good stability, operability, and gliding performance"-extension of the first claim. True. Good stability from dihedrals, and glides very well with minimum or no throttle. *"Super strong power configuration"-For the plane's size, it actually does have quite a bit of juice. Those tiny motors are very capable, and more than suitable for outdoor flight. It must have a decent battery in there too, because it gets 10-12 minutes flight time while feeding two engines. *"High Class undercarriage with sponge tyre"-I believe Tyre was actually a nation that existed in antiquity...as far as this plane's landing gear, its the basic fare that pops into a little slot. Far from "high class",but nothing to complain about. For my usage,it's good enough to absorb shock on a landing and keep desert dust out of the charging slot and stuff. *"Taxiing...takeoff..landing"-I'm sure it could do a short takeoff from a smooth paved surface, but I have yet to try(and little desire) to try from a gravel trail. Taxiing would not be so efficient with lack of a tail wheel but is doable. Maiden Experience/Handling/Flight characteristics: This plane is a 2Ch type with twin engines and no moving control surfaces. Pitch is controlled with throttle, and turning is accomplished purely with thrust differential. Surprisingly, a pleasant flyer, fairly intuitive and not hard to get used to. Even though pitch is controlled with throttle, the plane seems to have a bit less of a drastic nose-up tendency than my champ, making climbing pretty smooth and not too jerky or abrupt. The dihedrals play a major role in stabilizing this plane when it comes out of a turn and giving it pleasant flight characteristics, and I imagine a 2ch twin engine model without them would be more difficult to fly and less stable, requiring more precise and deliberate control. I was able to maiden this plane and run out the battery with no crashes. Unlike a traditional trainer, this plane requires some throttle management to fly well. One could keep it in the air at a static throttle rate with some success, but turns and maneuvering this way is a bit ungainly and wonky and drop the plane's altitude a lot without the proper application of throttle. The more one can learn the nuances of throttle, the cleaner and tighter the turns will be and the more confined a space can be operated in efficiently, without requiring a ton of space or altitude to maneuver. This plane is not aerobatic. I attempted a loop by abruptly cranking the throttle to max but only achieved a stall. 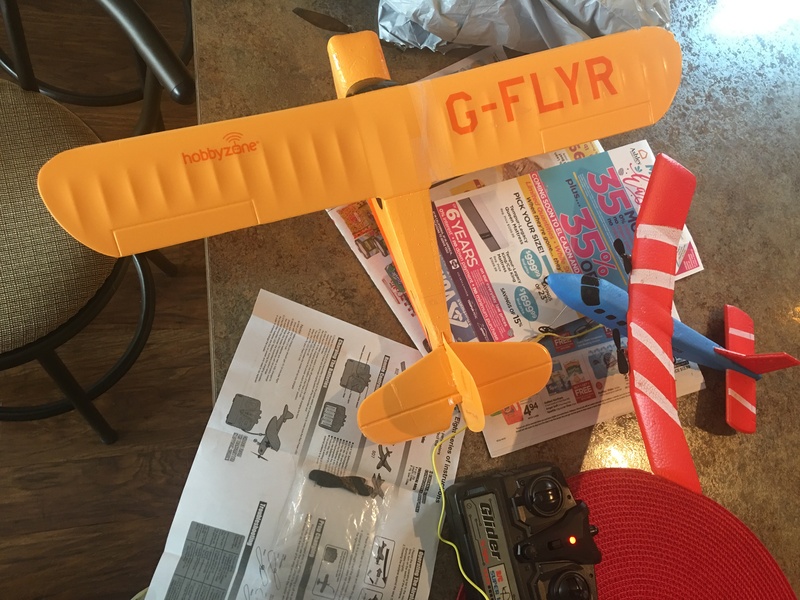 This plane is excellent for outdoor use, and can operate well in confined outdoor spaces, though it takes a bit more technique then with a traditional small/micro trainer. If one learns to use throttle well this could be operated just fine in a larger indoor environment like a gymnasium, though maybe not as ideally as more purpose built indoor planes, or small trainers like the Champ. If this plane were priced anywhere close to more capable entry level RTF stuff like the Hobby Zone Champ, it would receive a much lower rating, as it is not quite as acrobatically capable, and doesn't make nearly as ideal a main trainer. Seeing as this plane is a third the price, and coming more from the perspective of a fun flyer/niche plane than a main training plane, I give it a solid 9, and would totally recommend it. Learning to manage throttle is a useful skill, so aside from being a good fun flyer, it makes a decent niche trainer specifically for this purpose. 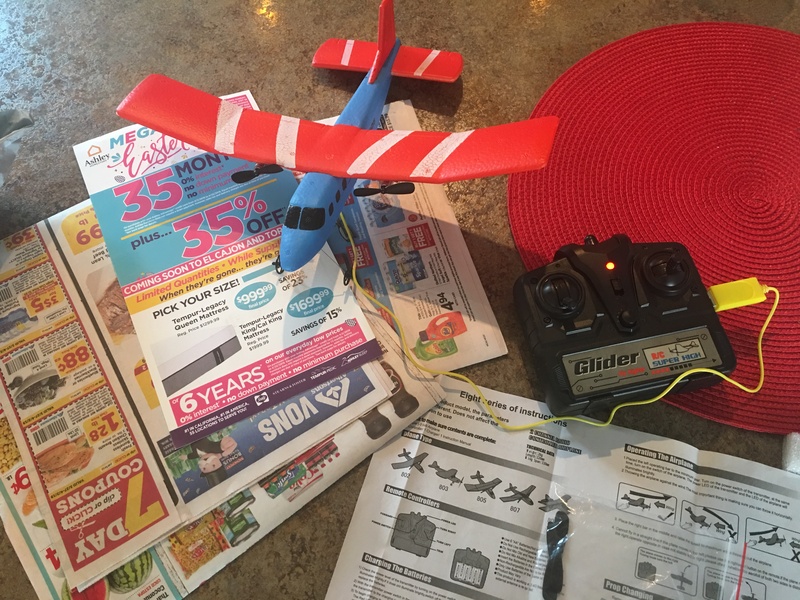 If this is literally the only first RC plane somebody can afford, there are much worse choices for a lot more money, and though not the absolutely ideal trainer, it can still give a good starting feel and impression on how to fly fixed wing rc aircraft. This would make a great gift to potentially get a friend into the hobby.